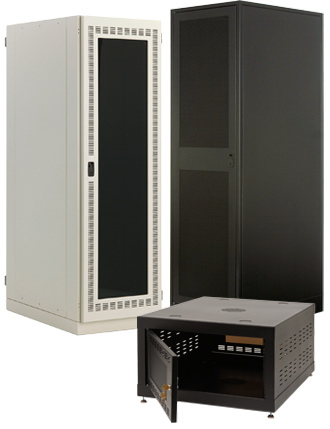 SWDP's Cabinet Systems cover any and all server, equipment, networking and now audio/video hardware storage needs from full sized data center seismic rated cabinets, to small office installations and everything in between. 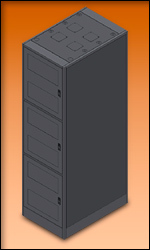 Our cabinet systems are completely modular which allows expansion without any fear of obsolescence. They are expandable, changeable, rugged all welded construction and can be configured to meet any demand. We continue to innovate in all areas such as cooling, expandability and always at an aggressive price structure with amazing availability! 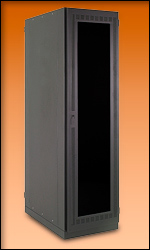 Our just introduced AV Cabinet series combine the styling, rugged construction and features you have always relied on SWDP to provide. 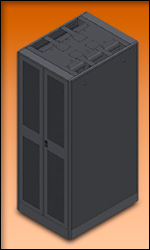 Seismic Zone 4 UL Listed Network Enclosures reduce costs and provide a variety of options. 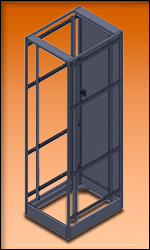 "C"able "M"anagement "C"abinets incorporate integrated top to bottom & front to back cable management options in a Seismic Zone 4 UL Listed enclosure for high cable density installations. 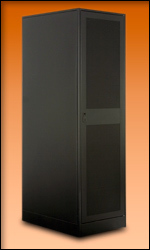 "M"ini floor mounted enclosures from 6 to 26U in several depths, provide a small office/POS location secure lockable cabinet with huge features but with a very small price. 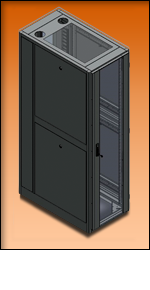 Up to 8 compartment Seismic Zone 4 UL Listed enclosures that provide secure compartments and cable/power pathways. 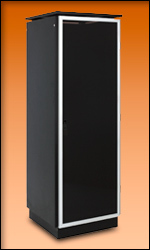 Seismic Zone 4 UL Listed "A"udio "V"ideo styled cabinets sized to dimensions and features the AV & Sound and Security market has come to expect. 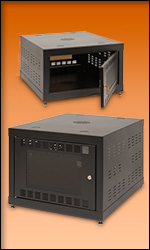 Enclosures that incorporate the "Multi-Mount" system for truly customizable accessory mounting in a plinth based industrial cabinet.